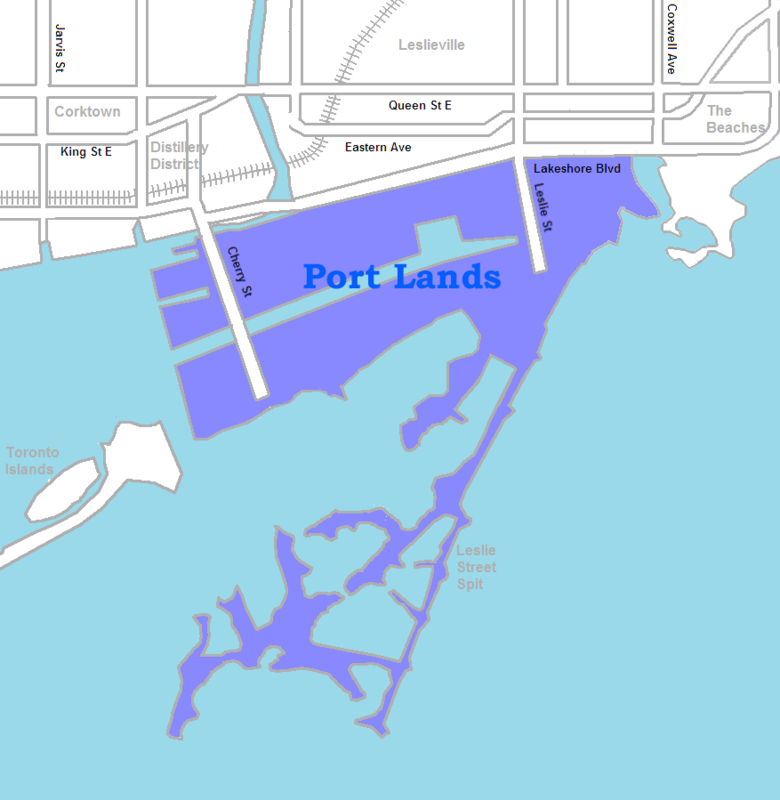 The Expo 2025 proposal was premised on transforming a large section of Toronto’s old industrial port at the mouth of the Don River. What has been lost now that City Council has decided not to proceed with a bid? The governments of Toronto have gone through waves after wave of enthusiastic advocacy to try to unlock the potential of those lands; and, we are talking about over 460 acres of land that remain untapped. What we wanted to do was leverage a hard timeline with Expo 2025 which would bring three orders of government together to sit down and say “can we do this, we can build the roads, the transit the infrastructure and the housing we need in order for us to profile Toronto and Ontario to the world. That is one of the major benefits of an Expo that you can see around the world. When you have a timeline with tangible benefits and set outcomes, then you will get it done. It so happens we recently had an announcement on flood control; however, it has no timeline and no additional benefits other than putting in place flood protection that will permit the sale of the land for private development. Alternatively, what we were proposing is to can do all of that [flood protection] but also obtain additional outcomes. Those additional outcomes would have included a once in a lifetime opportunity to promote Toronto as the city, the region and the thought leader of Canada. It would have positioned us as the gateway to the North American market for the rest of the world. We would have invited the global village to Toronto to build their pavilions and we would have fostered this city as a centre for multinational tourism. The largest event we have hosted before was the Pan Am games in 2015; and, prior to that was Youth Day when Pope Paul came to visit. So we do not have this legacy of global identity, not the way Montreal was left as a global destination city when they hosted Expo 67. It is important to know that although an Expo is six months in duration, a much longer duration than the Olympics, leading up to the Expo you also invite major corporations, national governments and heads of state to Toronto as they planned and built their pavilions. They in turn bring their top thinkers, top business people, top academics and top civil society leaders with them. [And there is a synergy and networking that takes place.] This does not come with just flood control and building a road; it comes with hosting a World Expo. So it is also about promoting both business and intellectual infrastructure? Even more so as it has the ability to unlock the lands and continue to develop and revitalize the waterfront. Governments stop and start infrastructure projects all the time, but when you commit to a time line and you sign on the bottom-line of the contract with the BIE, you have to open on time and meet your obligations. Politicians and political change cannot undue that commitment to opening on time. Transit must be delivered on time, housing must be delivered on time, and flood protection must be delivered on time. All these things are tied to a fixed time line. Can you break down the $6.9 billion expenditure forecast? Interesting that you would pinpoint that particular number. That is the amount it would cost to build the entire site including putting together the flood protection, to do the transit, to do the roads, to build all the pavilions and so forth. We recognized that flood protection money was needed whether or not you do the Expo; and, we recognized that you could leverage that into other tangibles. The pavilions of foreign governments are paid for by those governments completely. They rent the land from us, they buy Canadian lumber and steel and they hire Canadian labour. Most of the time they will leave these Pavilions behind because it will cost more to tear them down. Sometimes they will take them home such as Dubai did from Milan 2015 Milan [Frank Gehry Architect]. There is a lot of cost recovery in an Expo. You also get direct tax revenues to offset some of the costs including $1.6 B in direct revenue that will go back to various orders of government. Thus the incremental cost for the Expo would have been 650M; everything else would have been recovered, including security. Pavilions that are exhibition buildings that are not necessarily long term. How much would you end up with buildings that did not fit the envisaged mixed use community model for the lands? That is a great question. I think that the way Expos are built and designed today are very different from what you would have seen in Expo 67 in Montreal. Pavilions today are modular and they are very much built with the idea of sustainability and adaptive reuse. We can even suggest tools for those foreign designers and governments and negotiate what the buildout could be. So they could eventually be libraries or community centres that could distributed across the region or the country. They do not necessarily have to stay on site because the majority are designed to be temporary although not designed to fall apart after three months. The Toronto sign for the Pan Am Games was not meant to last but it was such a hit it has remained. We would ask them to build with a lens of sustainability to ensure the Pavilions could be recycled unlike the Eiffel tower, the Space Needle in Seattle, and Montreal’s Habitat. Expo 67 Showcased a Nation, a City and the Future; now they seem to be more powerful business and trade shows as well as have themes often focused on the environment and sustainability. Did you have a theme or vision to guide Expo 2025? We actually played around with a few possible themes, but we never made a commitment to one or the other because we thought that would make a very good point of conversation with all Canadians. What should our aim be? But the issues that came to the forefront time and time again where climate change and smart cities as well as building resiliency through sustainable cities and developing livable waterfronts. The other thing that rivalled all these concepts was a theme around social cohesion and inclusion to leverage the great Toronto asset of diversity because we are a city that speaks a 140 languages. We would have built in all the cultural ambassadors that we have already places from abroad by way of immigration and settlement. We thought there would be an extraordinary opportunity to do global business. We have the talent here. Many Torontonians were not born here, have come here through immigration. Maybe it is one generation or maybe five but there is a lineage stretching back to these other countries that would have encouraged visitors to come. We thought this was an extraordinary asset that Toronto could have brought to the bid. This would have been so relevant at a time when you see so much unrest and division in the world. The social miracle that is Toronto, as imperfect as it is, could have showcased our pluralism, our multiculturalism, our way of life. We could demonstrate that you can have all of that, social cohesion and inclusion while building a beautiful business environment around it that prospers. The City Report recommended against proceeding. It had four core negatives although one and two are linked as are three and four. 1 & 2 maintained there was no commitment of funding but a budget of $6.4 billion. Did you find that misleading? Yes, and I went on record to say as much as I did not feel it was a genuine reflection of what we had heard. We had spoken to our colleagues in Ottawa and we had spoken to the Premier’s office and the premier herself. The Prime Minister had sent a letter to [Mayor] John Tory to say he would be open to renewing BIE membership and open to the city bidding if that is what we wanted; but, he wanted city council to lead. The Premier had given us the same message. They were not going to tell Toronto what to do, but wanted to know what Toronto wanted. So I believe the staff report was written from an extremely conservative and risk reverse position. They were not bold; they were not visionary. No major city in the world who is an Expo contender will possibly win the bid if the mayor sits on his/her hands. You are competing against Osaka and Paris so you have to leave your chair and go to the other orders of government and say “this is what is good for my city, this is what I see will be the benefit to the country and the province.” That is what we needed from Mayor Tory. By using in their report the $6.7 billion figure rather than the net cost, did that scare many on Council? I have now spoken to a number of people who have led these bids and what they have said is the expectations set up by the city staff on making perfect alignment between levels of government before a decision to bid is unrealistic. For every Expo bid – and including the Pan Am games – all the details were worked out after the decision was made. Asking us to nail down every single detail, every single number before the three levels of government sat down was completely unrealistic – and in some ways disingenuous – to produce the desired result. I want to note that the $650-m net cost was final investment or the total initial investment minus direct tax revenues. But it would also have resulted in $8.18-B in incremental spending impact producing a 4.3% impact on GDP; it would have brought in 9 million net new visitors [over and above visits expected without Expo] to the city and region and it would have produced 50,800 incremental person years of employment. One thousand units of affordable housing would have been produced. That is what would have come out of the net $650-million investment. Therefore, in some ways, we have missed out. Instead, we are now moving very slowly toward flood protection. We knew this was a way to rebrand Canada. And with all the newspapers saying we needed to do more with our city and leverage our dollar we have never hosted an event of this magnitude, of this international significance. We have never stepped out on the world stage and the only time we became famous internationally was because of Rod Ford. Then, suddenly we became frontline headlines around the world. I have met people while travelling internationally who still think he is our mayor. Two other objections were: there just was not enough time to do it all and we could only do it with probable cost overruns and other expensive problems. How do you respond to these criticisms? Again, we have never had an Expo that has not opened on time and delivered on time. Unless there is a particular reason for Toronto to fail, like an absolute lumber shortage or sudden upsurge in terrorism in Canada, there just seems this was just means of getting to a “no” answer. They were not brave enough to get to the “yes” answer. We used top international talent like ARUP and Price Waterhouse Cooper for the research, had it peer reviewed several times and worked with Waterfront Toronto and then the city staff before going back to Waterfront Toronto to make sure all the information was correct. Everyone concluded the bulk of the flood protection could be done by spring 2021 if the money started to flow in the spring of this year. That would just give us enough time to build the pavilions. Our lead consultant who helped us put together the feasibility study for the technical aspects of this report, was the former Waterfront CEO. He said if more time was needed, they could start to build from the south end of the water and extend barges into the lake. These barges could be then sold off after the Expo. There were all sorts of ways we could do this if we committed to it. We have been able to open winter Olympics in Calgary and in Vancouver; I see no reason why we could not have opened up Expo in 2025. The same thing was said about the Pan Am games – we’re going to be late, we’ll not open on time; but just like every other host city, the show opened on time. One would have thought the success of the Pan Am games would have given the city the confidence to tackle an Expo-sized project. Actually, at the end of the Pan Am Games the city was brimming with enough confidence after having just hosted a regional sporting event with relative success to talk about the [hosting a summer] Olympics. Yet the Olympics 2024 bid was at the time nowhere. There was no committee working it; no one had done a business case; no one had taken a look at who was the competition. Yet all of a sudden there was this excitement about whether or not Toronto should host the Olympics. I recognize the Olympics have a very powerful brand but Canada has a tremendous history of hosting successful Expos. One thing that Canadians have done very well is bring the world together. How wonderful it would have been if we could have been able pull this one off, to declare that Canada was back the way Trudeau has been saying. Let’s invite them here and showcase what we have done. If you want to be invited onto the world stage, to be a critical thinker, to bring big corporations to you, to foster new trade deals and to help small to medium operations scale-up, you have to invite people to your city, your country. Everyone in Vancouver knows that it would not be the Vancouver of today had they not stepped out and hosted the three months 1988 Expo. I have met people who were skeptical of even the winter games, a bit of a bread ad circus event they thought originally; but, they have now swallowed their words and say the winter games was the best thing that could have happened. The city was full of civic pride and that is something we do not measure: How do citizens of the city feel? Do they feel included, do they feel respected; do they feel like they count. This is one of the social determinates of health; do the citizens and residents feel connected to their governments, to their neighbourhood and to each other. That is one of the things that these big events do. They actually bring people together in ways nothing else can do. You cannot put a dollar value on it but you certainly can measure afterwards. We have seen it time and time again, when Expos leave a city, people stand an inch or two taller knowing they were able to accomplish it. The Pan Am games was a great example; a relatively small games like that and the city came alive. As Canadians we seem to look at the problems faced in other counties rather than at the positive results and competencies in our own country, we dismiss the idea that we can do it well here even when we have done so. The opportunity for 2025 is lost; there is 2030 and it takes eight years to build out a site. We would be far ahead of schedule assuming the waterfront protection is completed. But I would bet that if we don’t actually tie it to a deadline for a hard deliverable then the flood protection work will go beyond schedule. We know locally, however, that if John Tory is not prepared to stand up for an expo in 2030 it will not happen. We heard from the governing body that if your mayor doesn’t want it, don’t waste your energy. You cannot lead from behind; you have to lead from the front. So, the question will be before John Tory at some point, maybe before the next election. You cannot say you cannot walk and chew gum at the same time because he is worried about transit and social housing. Transit dollars and social housing will come out of the Expo. Job creation will come out of the Expo. Even indigenous reconciliation will come out of the Expo because that was one of our legacies. You can make it what you want, that is its extraordinary beauty of an Expo. If we want to talk about is smart cities, technologies, scaling up of the SMEs, global trade and economic development, you can put that in your Expo. You make whatever you want out of it with the help of the other two levels of government. Are urban planners overstepping their bounds?